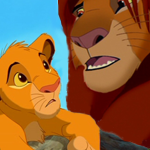 So I was thinking of voice actors who could replace Cam Clarke/Broderick as Simba. Nolan North. Most famous for voicing Nathan Drake in the Uncharted videogame franchise. Dude is oozing with charisma, and has great range too. Troy Baker. He has a lot of range and charisma. My favorite role of his is yuri lowell from tales of vesperia. Chris Pratt. Hasn't shown too much range but has charisma dripping out of every pore in his body. Not a likely choice as he's now a big time celebrity, with Disney eyeing him as Indiana jones (which is a much better choice than shia labouf). Robin Atkin Downes who is known for a lot of roles, to me he is known as Kazuhira Miller in metal gear solid peace walker, mgs5 ground zeroes, and metal gear solid 5 the phantom pain. This choice is a little ironic considering cam clarke is also a metal gear solid actor and super heavily ironic regarding major spoilers in metal gear solid 1 on the first playstation. ^ Considering as we have a whole board for TLG now, perhaps you can post speculative threads there, to encourage discussion and participation? It would be more organized and people wouldn't have to go through 100s of pages. Regarding the Hyena picture,it was me that posted it. It wasn't from a babies r us outfit, (that would have been a different post I put up.) The Hyena image is from a wall at the animation studio where the show is being created.